Since its establishment in 1976 by Zeritis Group’s founder Panos Zeritis, the consulting arm of Zeritis Group has been specialized in providing advisory services to the tissue paper industry, in particular to tissue paper mills, tissue converting units and paper recycling plants. The arm provides services such as machinery audits, production flow analysis, upgrade and automation proposals, with the mission of offering solutions on minimizing energy, fiber and water consumption and maximizing operating speed and production output. Simultaneously, the arm performs feasibility studies for greenfield investments, evaluates technology providers and monitors machinery installations, delivering turn-key solutions. 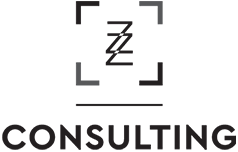 For established tissue paper mills, Zeritis Consulting provides services including technical audit, production process analysis and optimization, flowchart redesign, project planning and development, quality assurance and implementation of environmental and safety policies. For greenfield investments, the consulting team provides end-to-end solutions taking into consideration market characteristics. Services include feasibility studies, infrastructure evaluation, building facilities and layout design, equipment selection and organization of production. With the experience of vertically integrated tissue paper mills, Zeritis Consulting advises clients on the establishment of converting units taking into consideration given tissue paper production capabilities and consumer insights. The arm also consults on the organization of the conversion flow as a means of maximizing efficiency and production output. Having accumulated knowledge from both the waste paper recycling and tissue paper production industries, Zeritis Consulting has a customer’s point of view regarding the treatment of used paper materials in paper production. As a result, the consulting team can guide paper recycling companies through establishing an efficient set up to meet the market’s needs. Taking into consideration the standards posed by the Confederation of European Paper Industries (CEPI), Zeritis Consulting advises clients on matters relating to waste paper collection, sorting and processing and quality assurance. Having expertise and know-how in the tissue paper industry, the Group’s engineers are able to provide tailor-made services from an independent point of view according to best available techniques and the clients’ strategic directions. For us every project is unique. Our efforts are concentrated on addressing each project’s specific requirements, taking into consideration parameters such as space, utilities, supplies, manpower and available capital.